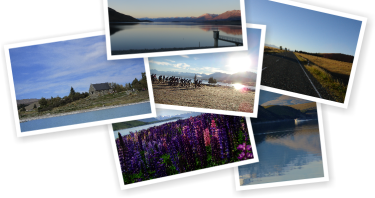 Lake Tekapo is one of the most beautiful places in New Zealand. 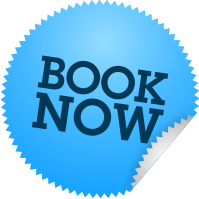 We are 2hrs 30 minutes from Christchurch airport so positioned well as a stop-over between Christchurch and Queenstown or your final destination. Tekapo is also a great place to stay and relax for a few days. 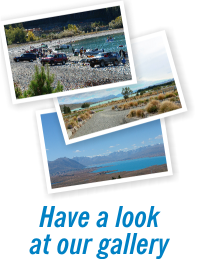 Activities in and around Lake Tekapo are wide ranging and varied and there is something here for everyone. 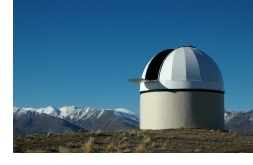 Earth and Sky arrange day and night tours to explore the wonders of the Southern Sky at the Mt John observatory. Star gazing is amazing in the clear night sky. If you prefer you can take one of the walks or drive yourself to the top of Mt John during the daytime and enjoy the breath taking views. Astro café is open daily on the top of Mt John. Roundhill - is just 35 minutes from Tekapo along the eastern shores of the lake and up an access road to a base area at 1360m. Roundhill has something for everyone including Australasia’s biggest vertical drop (783m). Mt Dobson - is approx. 60 minutes from Tekapo and has an excellent mix of Terrain with spacious learners facilities as well as trails that will challenge all skiing and snowboarding abilities. Mt Dobson has the highest carpark in New Zealand. At 3754 metres Mt Cook is New Zealand’s highest mountain. Whether you are heading there for a leisurely hike, scenic flight or a glacier boat tour you will enjoy the 1hr 15 min drive down the scenic canal roads. On the way back you can stop at the world class Mt Cook Alpine Salmon farm to feed the fish, try sashimi or buy salmon to bring back and cook if you are staying in our apartment. 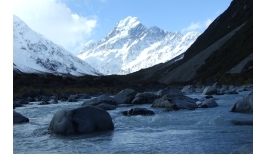 Day tours to Mt Cook are available for those who would prefer not to drive and have the benefit of the tour commentary throughout the day. Or just relax and enjoy your day in any way you choose. 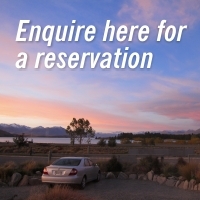 There are a range of restaurants available in Lake Tekapo that caters for a wide range of choices. They include but are not limited to a Bar and Grill, Pizza and Pasta, Pub Meal, Japanese, Thai and Chinese.